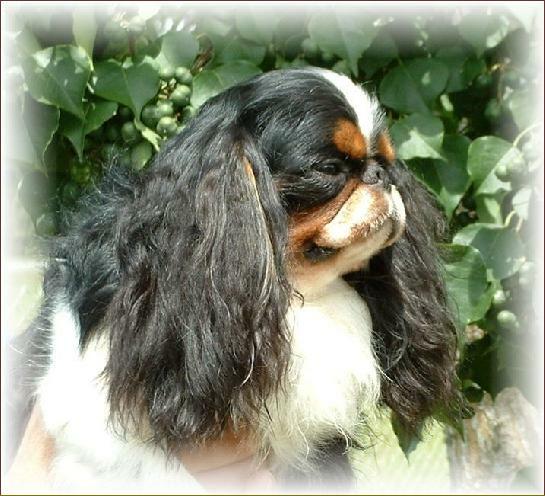 The English Toy Spaniel is one of the most diminutive members of the spaniel family. Classified by the AKC as one of the Toy Group, this spaniel is small yet compact. The breeds rounded head is somewhat large in proportion to the rest of the body. 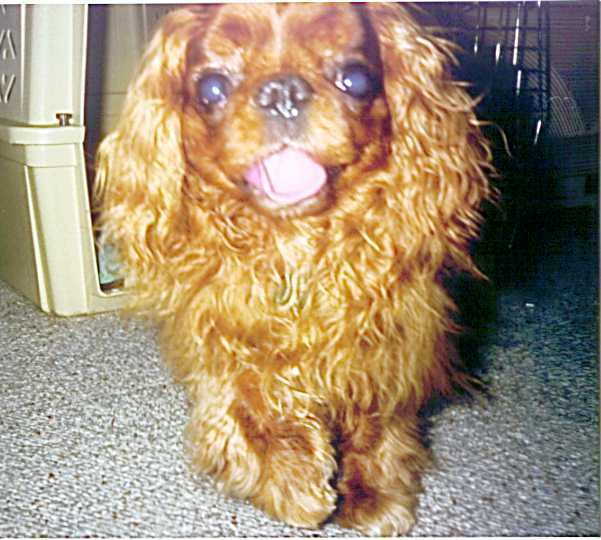 The dogs small size, along with a chubby face and short muzzle, gives the English Toy Spaniel an appearance many compare to a childs stuffed toy. This look is emphasized by the large, soft eyes and long ears heavily fringed with fur. Despite its small stature, this breed generally has a sturdy build with the compact body ending in a tail that is traditionally docked to about 2-4 inches. 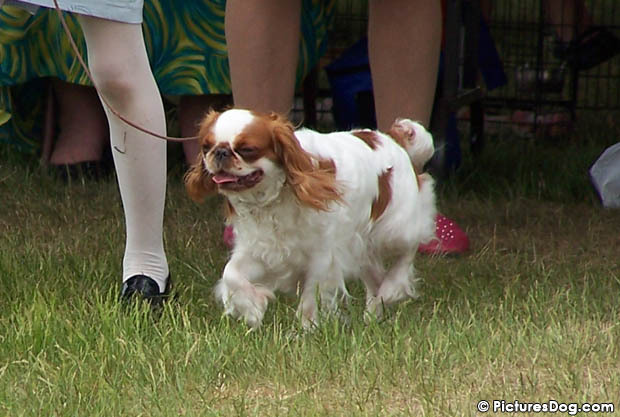 Fused toes are often seen on this breed and are considered acceptable in show dogs. The coat is long and silky with feathering on the legs, chest, and tail. 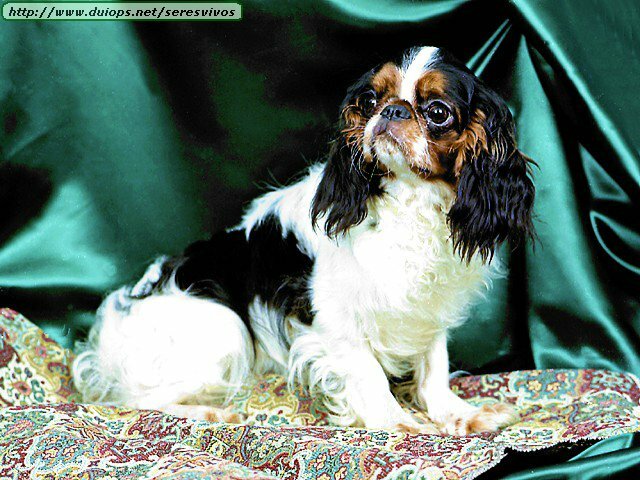 The English Toy Spaniel standard has a variety of names for its different colorations: the Blenheim (red and white), the Prince Charles (a tricolored coat that is white, black, and tan), the King Charles (black and tan) and finally the Ruby which is a rich shade of mahogany red. The breeds primary function is to please its owner, a duty it fulfills remarkably well. 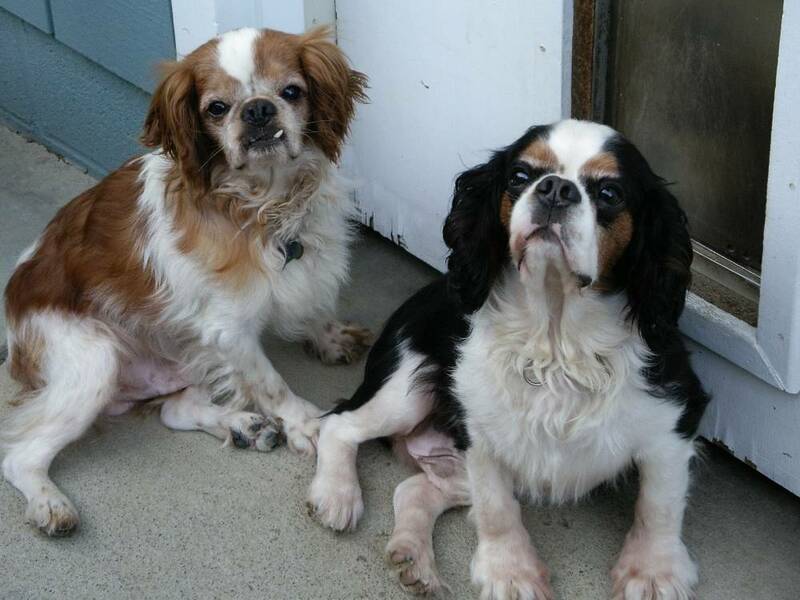 These dogs bond very closely with their owners but may be cautious around new people. In the presence of familiar faces, however, these dogs can be delightful little show offs and exceptional companions. The breed can also be a bit stubborn, so patience is needed when it comes to training. It is important that owners are sensitive to the fact that this soft, gentle breed will not be able to take harsh corrections well positive training methods will yield much better results. 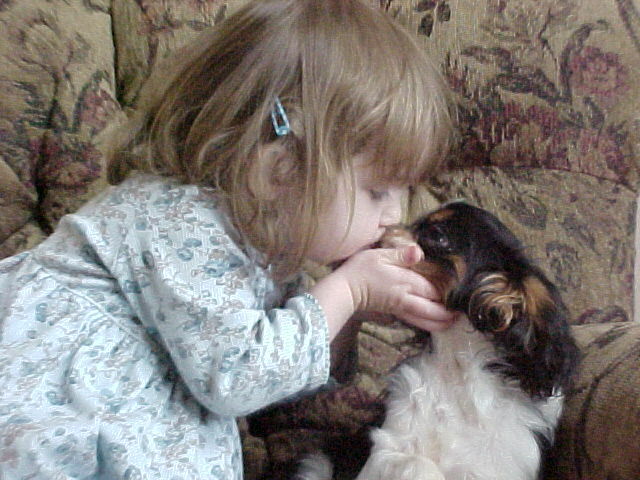 English Toy Spaniels are moderate barkers and may serve as respectable (albeit little) watchdogs. Medical conditions seen in the breed include patellar luxation, patent ductus arteriosus and dental problems. The long ears need to be cleaned to prevent infection, and the coat needs to be brushed out twice a week to prevent tangles and mats from forming. With regard to exercise, a daily short walk around the neighborhood or an off leash romp in a fenced yard should suffice. 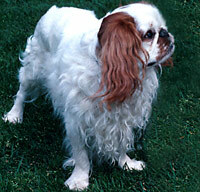 English Toy Spaniels have very short muzzles and do not do well outdoors when it is hot or humid. The dogs flattened face may also cause it to snore or snort at times. When playing with children, supervision is strongly recommended to ensure the dogs safety. 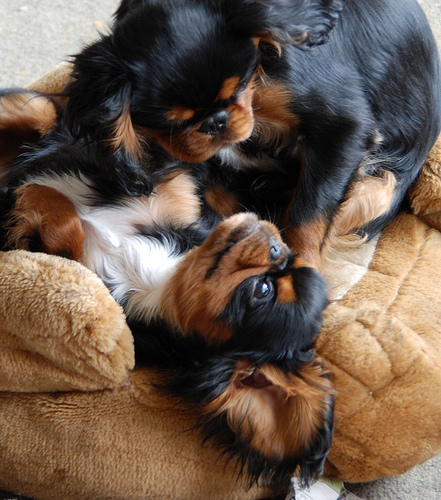 Although an English Toy Spaniel is not as fragile as some Toy breeds, it is still susceptible to being trodden upon or dropped by an overly enthusiastic child. 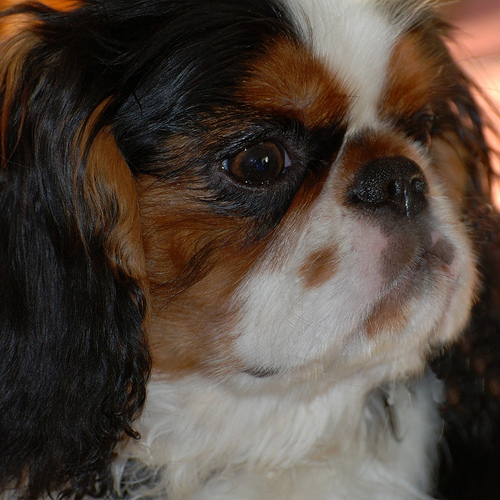 The dogs early lineage is identical to that of the Cavalier King Charles Spaniel, and both dogs became popular as lapdogs among Europes aristocracy during the 17th century. 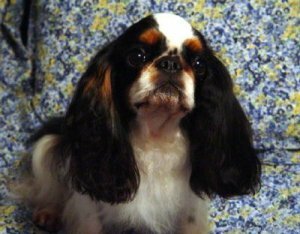 English Toy Spaniels were the favorite of Englands King Charles II, from whom the breed gets its nickname, the King Charles Spaniel. Charles affection for the dog boosted its popularity tremendously, causing it to become one of the most highly esteemed breeds in Britain at the time. 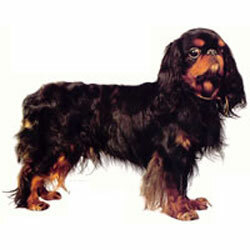 Over the centuries, the English Toy Spaniel was bred to accentuate its petite size, round head and flat nose. The breed was introduced to the United States during the 19th century and recognized by the American Kennel Club in 1886. 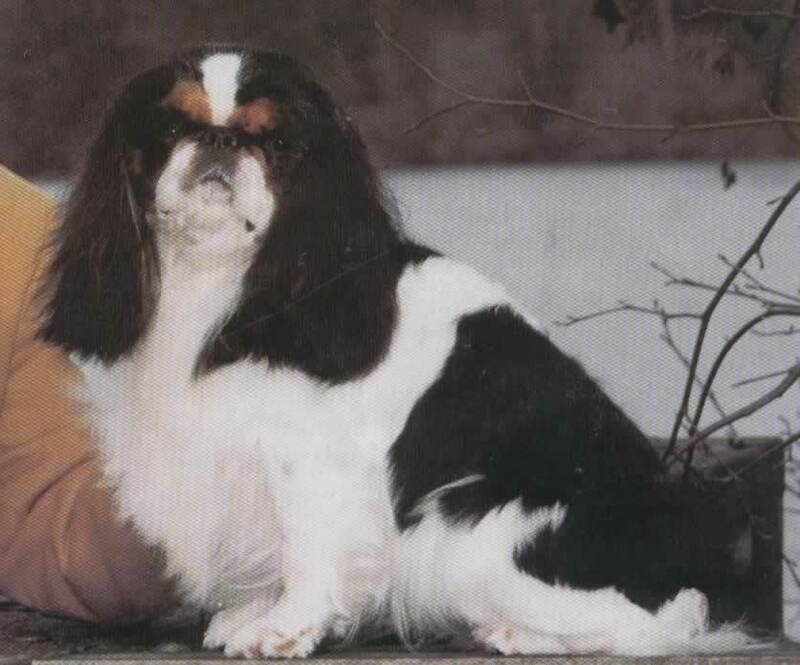 While the dog has never been as popular in America as in its native England, the English Toy Spaniel continues to provide the companionship that has made it so cherished for so long.